One of the nice features of the Steinsaltz Edition of the Talmud are the side notes on various subjects - biographies, animal and plant identification, geographical notes, historical and archaeological information, and of course for me - language notes. Many difficult or unfamiliar words, particularly from Aramaic, are explained on the page of the Talmud. A short etymology is also usually given. 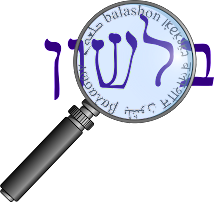 Each tractate has an index in the back of all the words explained, called "Luach Lashon". My only wish would be of a master index of words mentioned in all tractates to date, because it can be difficult to know where to find a particular entry.